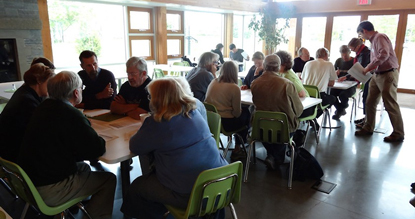 It turns out that our province is in a good fiscal position to engage in deficit-financing at this time. BC’s debt-to GDP ratio has been decreasing since 2002, which means that out government debt fell relative to our collective ability to pay. 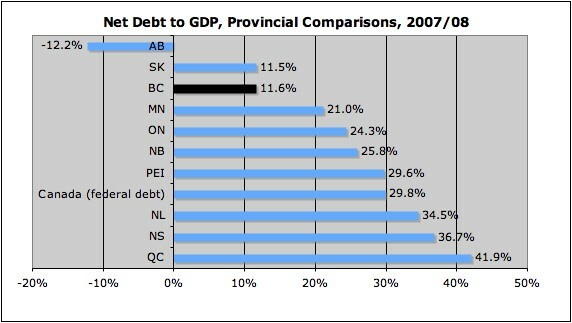 As a result, BC entered the recession as one of the Canadian provinces with the lowest debt-to-GDP ratios (18% in 2007/08). With the current level of planned government spending, the provincial debt is projected to reach about 26% of GDP in 2011/12, which is comparable to the relative levels of debt in the early 2000s and will not present a long-term threat to the provincial finances. The picture is similar for Canada as a whole. Out government debt (combining all levels of government) is considerably lower than that of most other OECD countries. 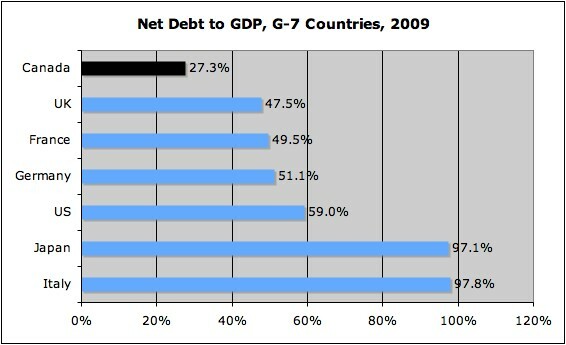 We have the lowest debt to GDP ratio in the G-7. The net debt to GDP ratio for Canada was only 27.3% in 2008, compared to 47.5% for the UK, 59% for the US and 97% for Japan (the OECD average is 51%). Source: OECD Economic Update, June 2009. With the current record-low interest rates on government borrowing, there hasn’t been a better time for BC or Canada to increase its government debt for the past 20 – 30 years. This is the silver lining of the financial crisis. And while interest rates are going to rise when the economy recovers, they are likely to stabilize at relatively low levels, especially when compared to the high interest rates that Canadian governments had to pay on their debt in the 1980s. There is clearly no need to panic about the size of the government debt in BC and in Canada. We can afford to support higher debt levels at this time and we can decide how we want to deal with government debt when the economy recovers. In fact, pulling out government stimulus spending too early would have much more damaging effects on our economy than a slightly higher level of debt. Those who are sounding the alarm about increasing levels of government debt seem to be motivated by ideological aversion to government borrowing more than by actual signs of impending fiscal trouble. Should we be afraid of the government debt?